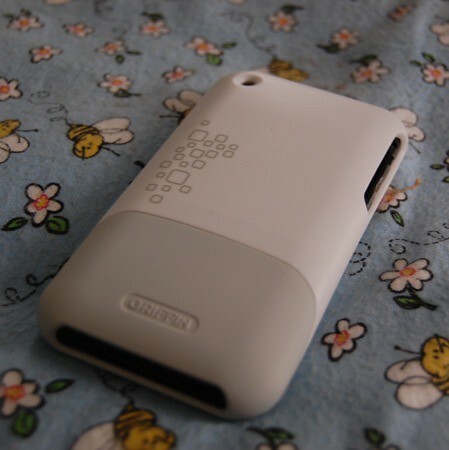 I bought the Griffin Nu Form iphone 3G case mainly because 1.) 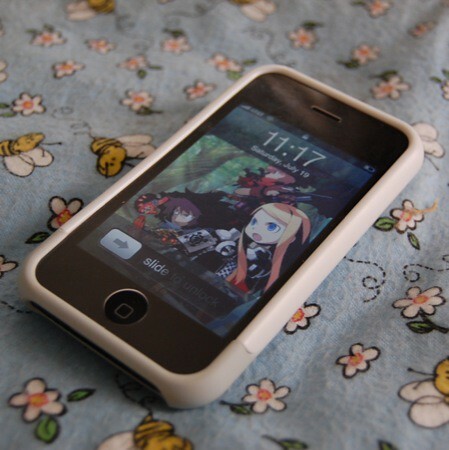 I wanted something to protect my iphone, 2.) I don’t like the sticky feel of silicone cases, and 3.) it comes with a display protector. I had to order it directly from Griffin because at the time, it wasn’t available in any stores near me. I went with the white case because the site didn’t show a picture of the back of the black version and the black didn’t look all that dark. The plastic is hard, but flexible so I don’t have to worry about it scratching up where it touches the iPhone. The case was easy to get on since it comes in two pieces (the white piece and the grey piece) that just slide and lock together, securing your iPhone in place. All of the ports and side buttons are accessible with the case on and if you want to dock your iPhone, the bottom part slides off to give better access. Because the case isn’t too bulky the front of the iphone still looks slim and minimalistic. What I don’t like about the case is the piece of plastic they include as a screen protector. It’s an oil magnet and got smeary and smudgy as soon as I took it out of its package. It slides in over the screen of the iPhone and the rest of the case is supposed to hold it in place, but I find that it moves around a tiny bit. There are cut outs for the speaker and home button, but they look cheap. I didn’t notice any effect the protector had on the touch screen, which is good, but I’ll probably replace it with a less smudgy and thinner protector when I find it. I wasn’t sure I would like the design on the back, but now that I’ve seen it in person, it’s not so bad. I would rather have the back just solid white and grey, but the design isn’t too tacky. The white is matte, so I can see it getting dirty pretty quickly, but I’m sure some soap water will clean it right up. Overall, I’m pretty pleased with the case other than the cheap screen protector it comes with. edit: My case started peeling at the bottom, and I contacted Griffin’s support about it and got a replacement painlessly. More info is in this post.